As a landlord, one of the greatest risks you face is renting to someone who is not financially stable. Late rent payments or no rent payments all are all risks you face. Although it is impossible to predict with certainty who will make a reliable tenant, one major indicator is an applicant’s credit score. Because running a tenant credit check is so important, this should be part of your first steps before accepting a new tenant. When you run a credit check, and you find that the screening company recommends you add a co-signer, you may wonder what steps you should take next. Having someone else co-sign for the tenant applying is an option sometimes resorted to in the case of less than ideal credit. Most people are familiar with co-signers when it comes to loans. For example, many students entering college add their parents as cosigners on their student loans to get better interest rates. In the same way that a co-signer takes financial responsibility for a loan should the student default, a co-signer on a lease acts as someone taking financial responsibility for rent or other charges related to the property if the tenant fails to pay. Although the co-signer is part of the rental agreement and is ultimately financially responsible for the rent, they do not live at the property. Co-signers can be relatives or even friends. Why would my tenant need a co-signer? After receiving a tenant’s credit report, you may discover that your prospective renter has a lack of credit history or a poor credit history. Without a clear history of financial stability, renting to them can put you at a high financial risk. Tenants without a proven background of strong credit are more likely to be late paying rent or to miss rent payments entirely. In these cases, some credit reporting agencies will provide you a recommendation to add a co-signer. They base this upon the credit score and should provide you with this recommendation along with the actual credit report. 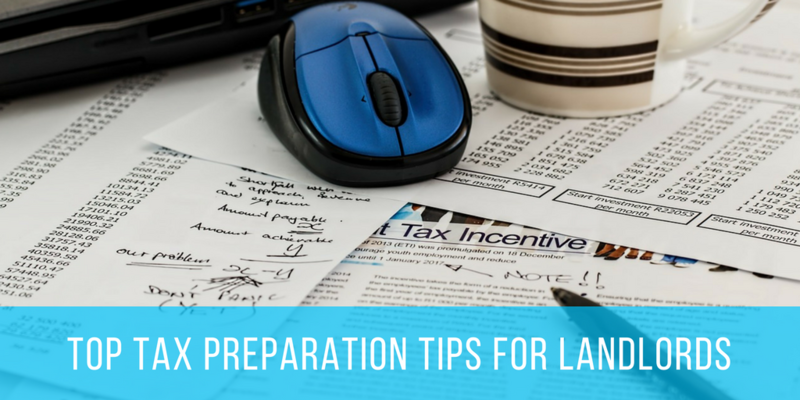 This recommendation may indicate whether the landlord should accept the risk, or if they should require an additional deposit or co-signer if leasing to the applicant. A common scenario in which a co-signer is often added is for first-time renters. Because first-time renters may be young, they might not have a credit history built up yet. In this scenario, parents will often act as a co-signer, guaranteeing the rent as their financial responsibility. How do I add a co-signer? If you find yourself in a situation where you have an applicant with poor credit or inconsistent employment and you wish to add a co-signer, the process is fairly straightforward. You will want to begin by explaining to the applicant the role the co-signer will take. A co-signer should be someone who is financially stable enough to take responsibility for the applicant, should they fail to pay rent or other fees. Ensure the applicant takes the task of finding a co-signer seriously, as the person will be taking on a large financial responsibility on their behalf. Once they have chosen their co-signer, you will complete the application process with the co-signer. Treat them as you would an additional tenant, though they will not be living at the property. Since they are acting as a guarantor, you want to take the same steps as you would with a normal applicant. Use a rental application that provides you with their name, contact information, and employer information. It is also important to screen them, just as you would someone moving into the property. A screening report can confirm that they are actually capable of taking over financial responsibility in the event that the tenant cannot pay their rent. This protects you from a tenant who finds a best friend who says they will be a co-signer, but cannot actually fulfill the duty of a co-signer. It is highly recommended that you have the co-signer sign an agreement about the responsibility they are taking over. It is important for you to have a written record of the relationship. Be clear about the terms so that misunderstandings don’t arise later. For instance, if there are multiple tenants living in the property, who is the co-signer responsible for? Iron this all out upfront to protect yourself from problems arising down the road. What happens if my tenant can’t pay their rent? Now that you have set up the co-signer, you have a written agreement that they have signed, and you are ready to allow the applicant to move in, what happens next? Hopefully, your new tenant pays their rent on time. However, if your tenant is unable to pay rent, damages, cleaning charges, or other associated fees, you will need to reach out to the co-signer for payment. If the co-signer is not capable of paying for these costs they will be considered to be in default and that information can be reported to credit agencies. Because they are taking over financial responsibility, acting as a co-signer is not something to be taken lightly. Coming up with an acceptance policy for your rentals helps you make decisions quicker. It can also help you avoid accidentally discriminating against applicants, so be sure that you are familiar with Fair Housing policies. Remember to carry out the process in the same way for all applicants when it comes to who you require to have a co-signer. As mentioned in this article, we believe that a solid rental process begins with an application and tenant screening report. It is recommended that landlords screen any tenant over the age of 18.